Who can get involved? Everyone! To enrol, send us your school or nursery name, main contact person, and contact email and phone. We will send you a WOW Water certificate. Collecting can be by one class, or everyone, and for one year or longer. Des (the manager at House Of Rompa Nursery) says, "It is a self running project. It's not something you have to be on top of all the time. It runs along under its own steam. Once the children understand that they are directly helping children who can't yet get clean drinking water, then the collecting becomes rewarding and automatic because its something the children want to do." For older children, there are interesting possibilities in terms of understanding the differences and the similarities in different cultures. 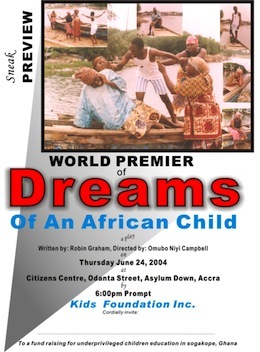 Robin, one of the volunteers running the project, has written a play about child trafficking, anther about water rights and a new hotel complex, and a monologue about a Ghanian woman in the UK who is HIV+; these are available to look at. There are also ideas for discussions in class, and other possibilities. One class might like to become involved, or a whole school. To enrol, send us your school name, main contact person, and contact email and phone. We will send you a WOW Water certificate. In your office you might like to collect every time anyone has a drink! Or you might like to make WOW-Water your charity for a one off collection! We are linking with NGOs in Ghana, in particular Kids Foundation. If you are interested in Internships then we will put you in contact!